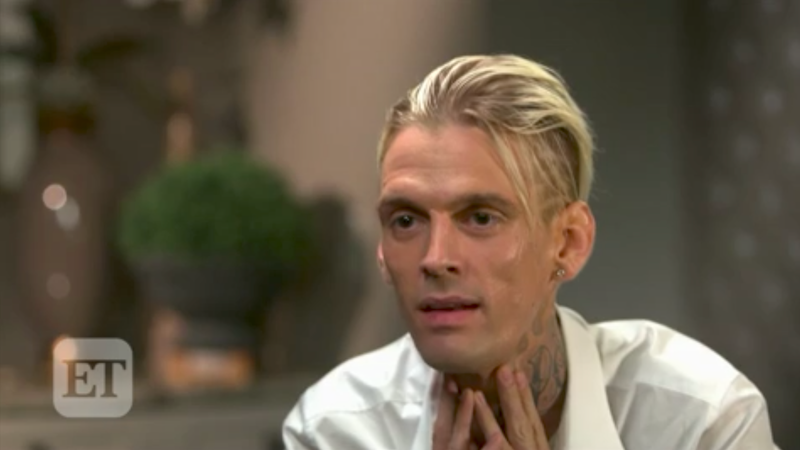 In a heartbreaking interview with Entertainment Tonight earlier this week, Aaron Carter shed some light on his recent DUI arrest by revealing that he has been suffering from an eating disorder caused by a hiatal hernia for the past 10 years. This particular type of hernia causes “part of your stomach pushes upward through your diaphragm,” and Carter claims it’s responsible for his gaunt appearance. “I am not a meth head. I have never touched it in my life,” the 29-year-old explained before revealing his weight (“135, 140 pounds”) and saying that he has the “stress condition of an 80-year-old man.” (Hiatal hernias are uncommon among people Carter’s age.) He also said that he receives “JUVÉDERM and Restylane treatments” to add volume to “full” his face. Carter says he is still working on getting healthier, and that he intends to attend a “training camp called D1 Combine Training” in the near future. You can watch the full interview here.